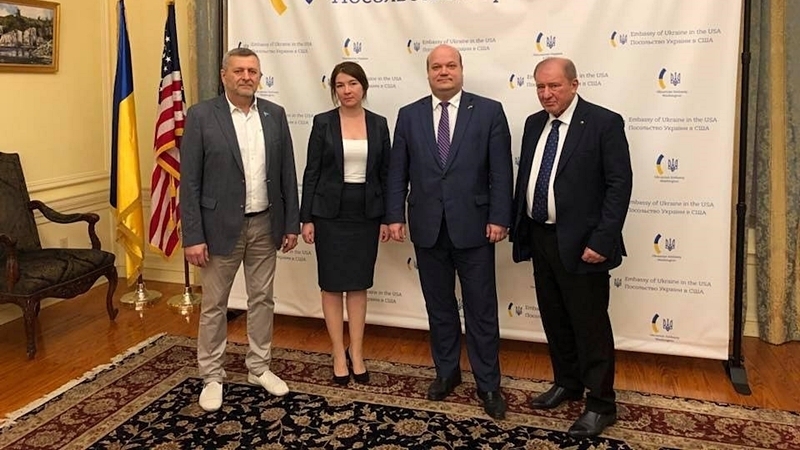 Deputy Chairmen of the Mejlis of the Crimean Tatar people Akhtem Chiygoz and Ilmi Umerov told about the current situation in the occupied Crimea during the meetings in Washington, accordint to the information on Akhtem Chiygoz’s Facebook page. Thus, the Deputy Heads of the Mejlis held meetings in the US Senate, which were also attended by lawyer Nikolai Polozov. “During the meetings, Akhtem Chiygoz and Ilmi Umerov spoke in detail about the current situation in the occupied Crimea, the repression against Crimean Tatars by Russian authorities, exchanged views with representatives of the US Senate on specific steps and actions aimed at protecting human rights in the occupied Crimea," reads the message. Furthermore, during the meeting, the implementation of political and diplomatic instruments that could contribute to the de-occupation of the peninsula was discussed. Previuosly, on March 13-15, the Presidential Commissioner of Ukraine for Crimean Tatar people Mustafa Dzhemilev, along with Akhtem Chiyhoz and Ilmi Umerov were on a visit to Great Britain. During the visit, meetings will be held with Richard Jones, Director of the Department for Human Rights and Democracy of the Foreign Office, Chairman and members of the Global Friends of Ukraine in the British Parliament, Ambassador of Turkey to London Abdurahman Bilgic, Head of the British Foreign Ministry Boris Johnson.